It was the late 1980s, and Joan and Owen Maxwell were on a quest to find themselves. The couple were wandering around an Experimental Aircraft Association fly-in in Oshkosh, Wisconsin, when Owen had an idea. 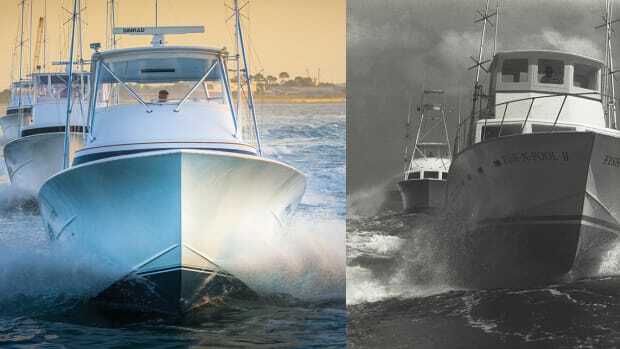 This was the moment of conception, so to speak, for Regulator Marine, which today is one of the most respected names in the fishboat business. Within a few months, Joan and Owen began an exhaustive search for someone to draw the company’s first boat. That’s when Lou Codega — then a Navy engineer — entered the picture. 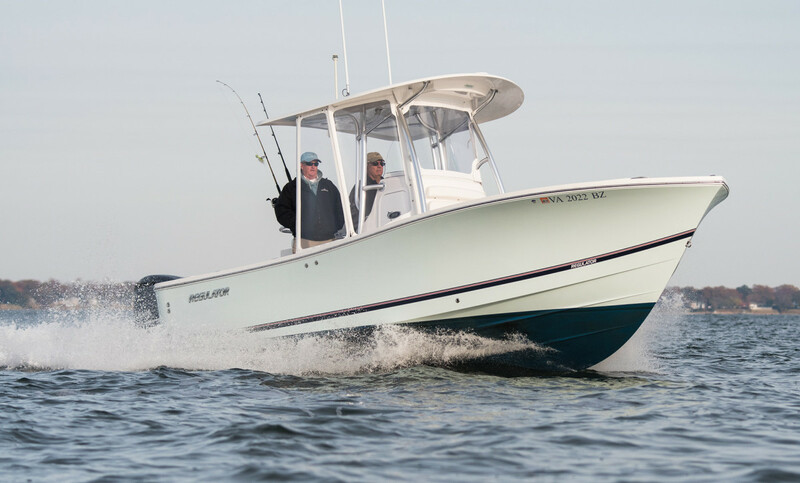 Codega worked nights and weekends on the design, and the center console he drew for the Maxwells — the Regulator 26 — became a rock star in the center console fishing world. Nearly 30 years later, Codega’s talent for designing tough, smooth-riding, deep-vee center consoles and sportfishing boats is unquestioned. 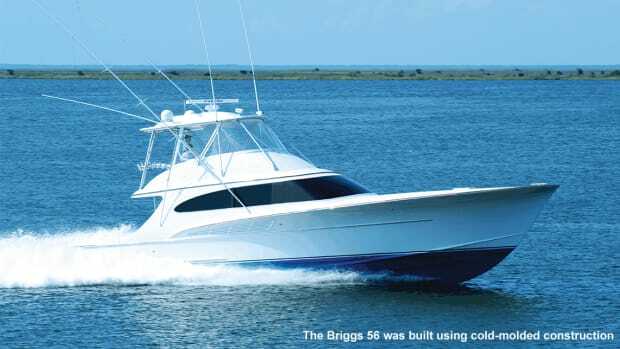 Along with more than a dozen Regulator models, Codega has helped to design models for Carolina Classic, Hell’s Bay, Rybovich, Cabo Yachts and others. Here’s some of what Codega told me in his home office before we fished for stripers with Owen on Codega’s Regulator 23, Flyaway. 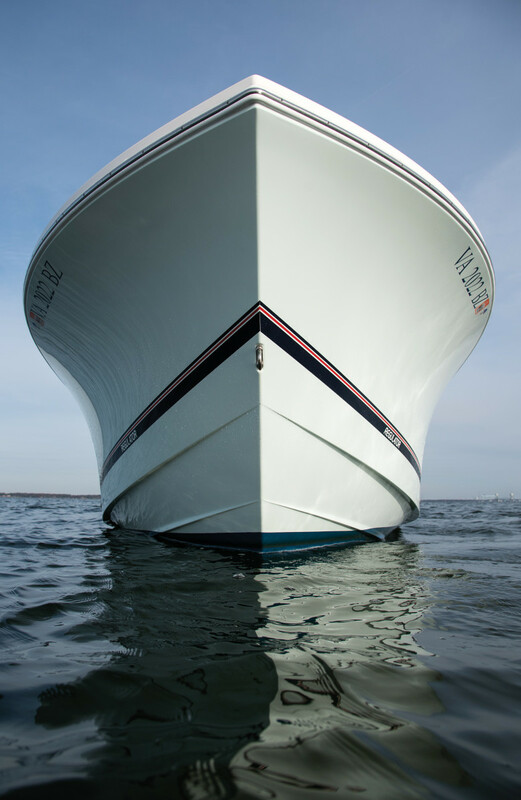 Codega says sportfishing boats represent the epitome of design. They’re engineered to run in difficult conditions and do specific tasks. AJ: When and how did you get interested in boating? Lou: I grew up near the water in Rhode Island. 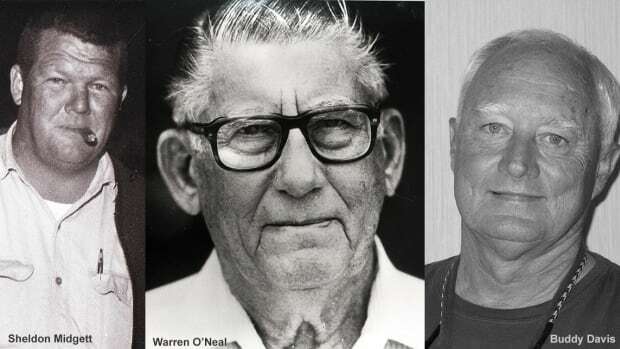 One of my uncles was a retired chief boatswain’s mate from the old-school U.S. Navy at Pearl Harbor, Hawaii. 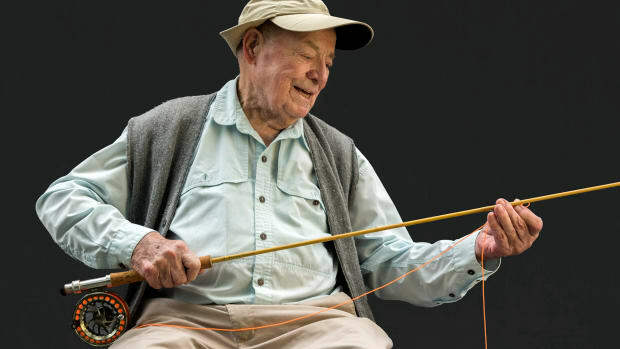 He taught me to run a boat and all the sailor arts when I was very young. He also lived on the water and had a small skiff, so he let me run that. I bought an 8-foot sailboat around age 16 and taught myself to sail. I knew when I was very young that I wanted to be a naval architect. The story I tell is that my father used to drag the family to Newport, Rhode Island, during America’s Cup races to see the boats. Those were the far more informal days, when you could walk up and touch the boats after the races. I still have a picture of Intrepid on a railway that I took in 1967. I figured that those were the most beautiful things that men could build, and I was going to design them when I grew up. I wanted to do sailboats when I graduated from the Webb Institute, but there were no jobs available. So I went to work for the Coast Guard and then later for the Navy’s small-boat design and engineering group. There I got to design and test a wide variety of boats but mostly did high-performance boats for the special operations guys. I was working there when I met Joan and Owen, and drew the Regulator 26 at night and on weekends. 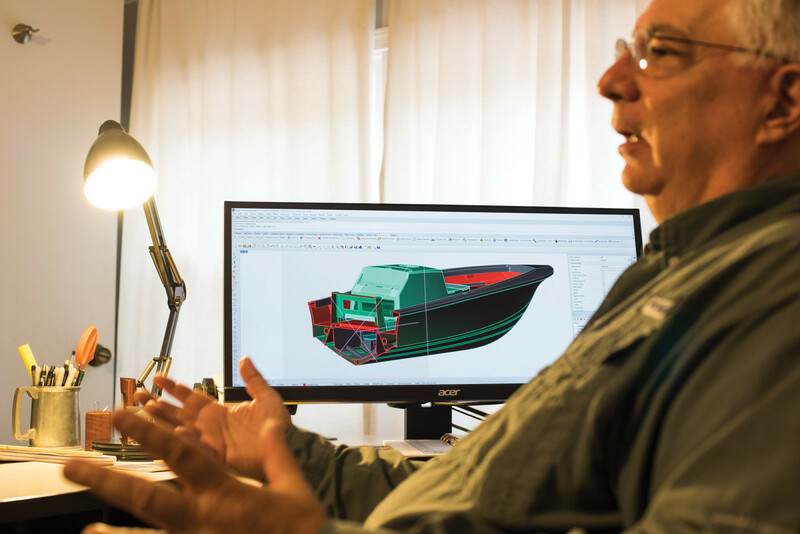 After more than 30 years designing boats, Lou Codega says he’s still refining the elements that go into making a great center console. AJ: How did you guys come up with that first design? Lou: That’s actually a funny story. We wandered around boat shows taking pictures and measurements of things we liked, and made further notes about things we didn’t like. 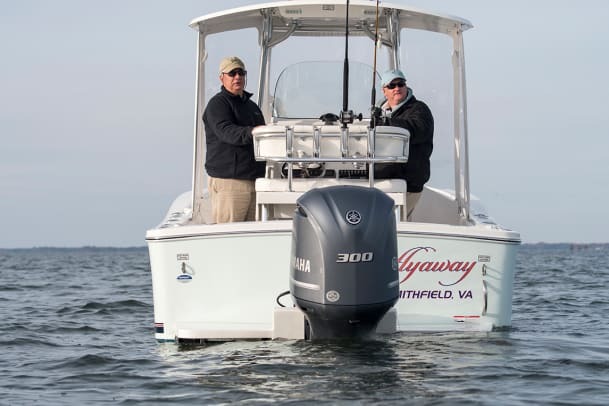 There were lots of things we saw and then said, “We can do better.” I’ll never forget one boat show in Norfolk, Virginia, when we were measuring and photographing a Blackfin, and the sales guy asked us if we needed any help. We had to act as if we were simply shopping around for boats — you know, with tape measures, notepads and cameras in our hands. Joan and Owen wanted to build the best-riding, safest and [most] well-built deep-vee fishboat on the market. We had a few different designs around 23 and 24 feet that we played around with, but ended up needing 26 feet of length overall to fit what we wanted inside it. That’s how the Regulator 26 was born. 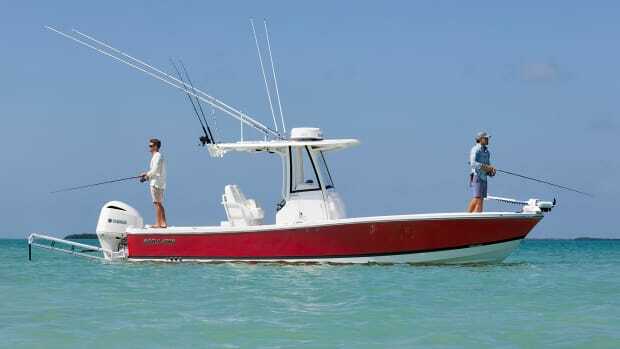 AJ: What’s the secret when it comes to designing a great-riding fishing boat? Lou: There are no secrets. Anyone can go to a boatyard and copy the lines from a Regulator 26 and build one. That’s only a small part of the deal. The important part is the hull shape, balancing the weight inside the hull properly and engineering the proper deadrise transition all the way from the bow back to the transom. Anyone can slap a steep transom deadrise on a boat. Getting the transition correct is very difficult. In fact, I’m still refining it after nearly 30 years of building boats. For example, the Regulator 25 is a way better boat than the 26 was. It’s the result of refining the design and years of tweaks and changes. We’ve dialed in the deadrise transition just right, the chine widths have been changed, and we’ve tuned up the spray strake design. The structural grid inside also is very important — and difficult to get right. All of this refinement is nothing if the boat isn’t built right, though. No one puts the care into their boats like Joan and Owen do. They’re obsessed with perfection. AJ: What other fishing boats have you designed, besides the work you’ve done at Regulator? Lou: I drew up 21- and 27-foot production center consoles for Hell’s Bay Boat Works; 25-, 28-, 32- and 35-foot sportfishing boats for Carolina Classic; 31-, 35- and 45-footers for Cabo Yachts, as well as some work for Rybovich when I was employed at Donald L. Blount and Associates. There are also plenty of other projects that I’ve been involved with for Marolina Yachts, Intruder Boats, AL Custom Boats, Bluewater Yachts and Mirage Manufacturing. 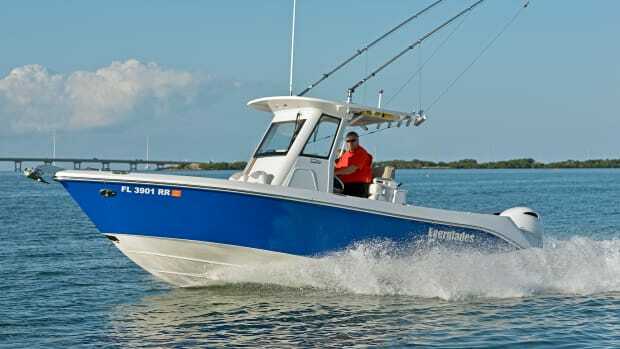 AJ: What do you like about designing sportfishing boats? Lou: Sportfishing boats are the epitome of design. They’re engineered to get used and run in difficult conditions and do very specific tasks. I like the challenge of designing a boat that folks feel comfortable in and know is going to get them back home safely. It’s not an easy thing to do. AJ: Why aren’t all deep-vee center consoles the same? Lou: There’s a varied mix of quality, price and emphasis of design. With Regulators, we really emphasize the seakeeping and ride aspects and de-emphasize other parts of the design. For example, our boats are not as fast as many others. That’s by design, in favor of a more comfortable ride. Also, we never compromise safety or handling. It’s important to design a predictable, safe boat for our customers. Codega’s Regulator 23. Refinements to chine widths, spray strakes, deadrise transition and more help subsequent models continually improve. AJ: Speaking of predictability, what are your thoughts on stepped hulls? Lou: Stepped hulls are good, and they work. They perform best in calm water and flat sea conditions when you’re going really fast. But a true stepped hull is very difficult to control because you’re relying on ventilating the hull to get performance. To me, that’s an unstable situation. There’s less boat in the water. So I don’t do them. 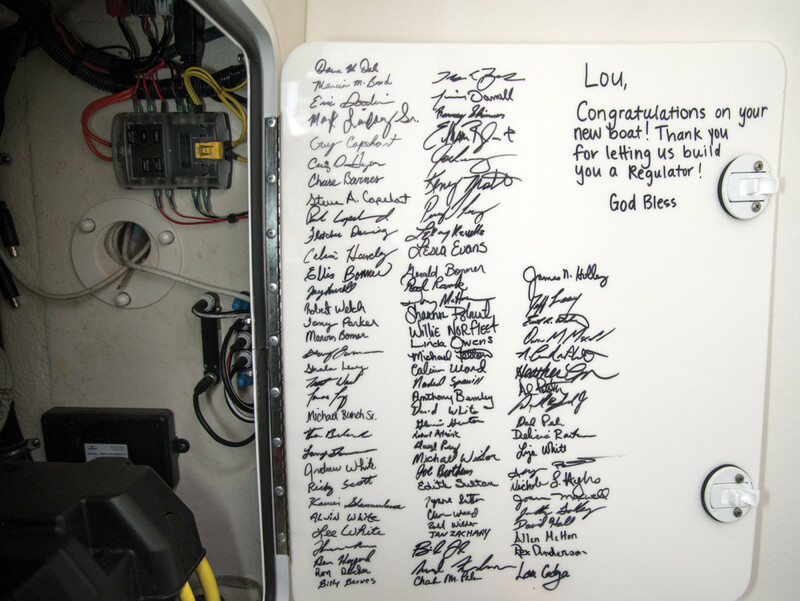 The team at Regulator Marine signed the designer’s 23-footer, Flyaway, which he calls a pleasure to run. Around noon we grabbed a bite to eat and headed down to the Smithfield Station Marina to run Flyaway on the James River and meet up with Owen. Although the fish were highly uncooperative — and we all know how that can be — we had productive conversations about Codega’s boat, Owen’s fishing background and what drives him to build boats the way he and Joan do. AJ: Lou, what do you like about your Regulator 23? Lou: Every time I run it, I learn something new. 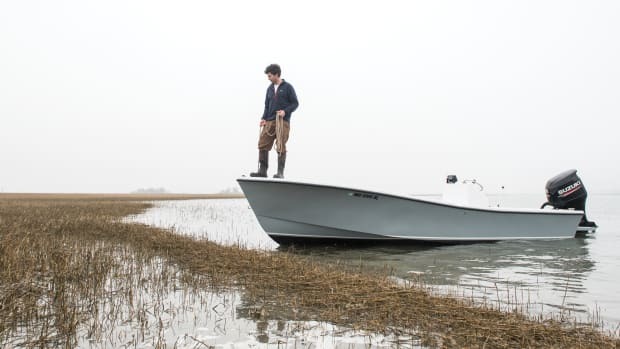 I mean, it’s a great boat and a pleasure to use, but it’s feeling what’s going on under my feet and seeing how it reacts to different situations that’s so fulfilling. It helps me design a better boat. AJ: Have you ever designed a power cat for fishing? Lou: Truth be told, I don’t like power cats. There are definitely some sea conditions where they are better [than a deep-vee]. For example, power cats run great going into a chop — and you don’t really have to trim the boat well to get a good ride. That’s good for an owner who is a beginner. You can simply push the throttles and go. Deep-vee boats have to be trimmed correctly to get a good ride in rough conditions … and not every owner knows how to do that. There’s definitely a learning curve, in that respect. AJ: Owen, tell me about your fishing experience and how that has shaped Regulator’s business model. 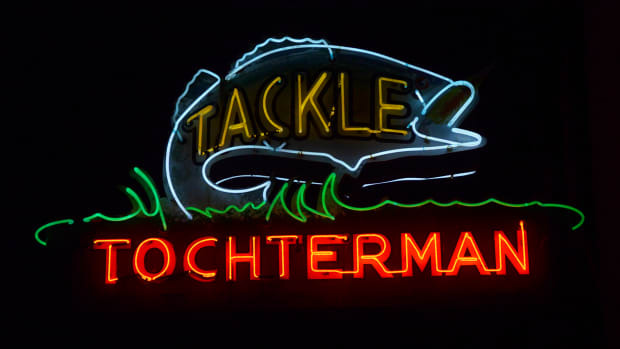 Owen: I started fishing around Hilton Head, South Carolina, in the ’70s as a kid. 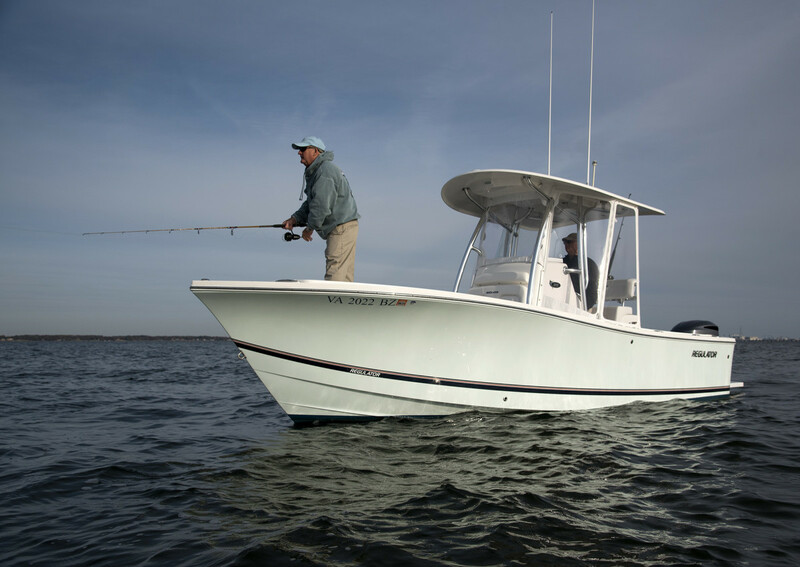 We poked around in a little 16-foot Boston Whaler center console with only a compass. The more I fished, the more people I met. And then they took me fishing. I began to venture offshore. AJ: Lou, can you speak a little to the current trend of center console boats getting larger and larger? Is it difficult to design a bigger boat? 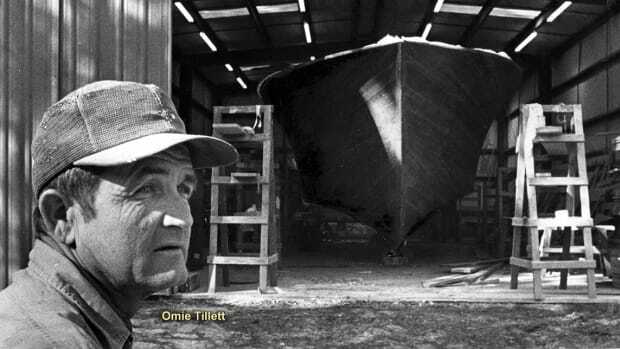 Lou: Designing the boat — even if it’s bigger — is easy. It’s making room for and balancing the weight of all the additional gear inside that makes designing one a challenge. And folks who buy these larger center consoles expect all of it — you know, air conditioners, generators, hot water heaters, inverters. There’s more fuel weight to balance, and water tanks are bigger and heavier. Stuff, that’s the challenge. AJ: How will fishing boats change in the next 10 years? 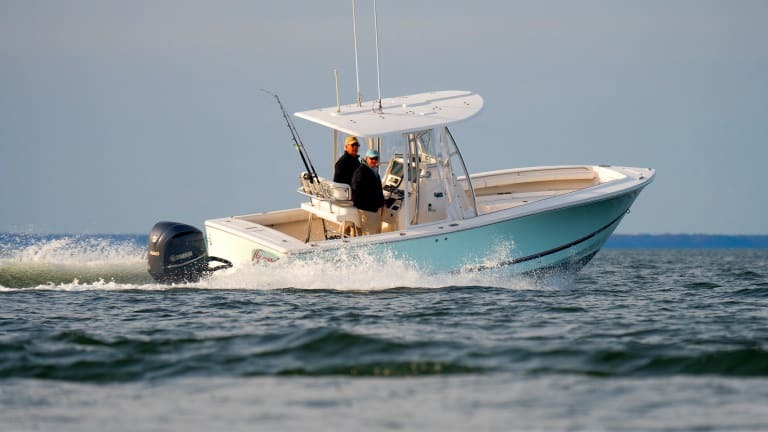 Lou: I think you’ll see more changes to existing technology rather than some radical new piece of technology that massively changes the design ethos of sportfishing boats. Owen: I think center consoles will cap at a certain length. I also expect construction standards to continue to improve as more builders embrace composites. That being said, we’re still committed to the heavy deep-vee model. That’s our core DNA.